We select products for our store carefully, seeking to offer only top quality products that offer an excellent value. 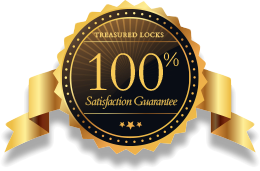 We expect you’ll love the products you purchase from Treasured Locks, but just in case you don’t, your purchase is backed by our Satisfaction Guarantee and Easy Return Policy. If you’re not completely happy with your purchase, please let us know via our contact form, live chat or give us a call at 513.759.2206. We’ll work with you to ensure your satisfaction and authorize a return for full credit if you wish to return the item. Products returns may be initiated within 14 days of when you received the product. For full details of our return policy, please visit the Returns Page.